38 cm tall (15.5 inches). 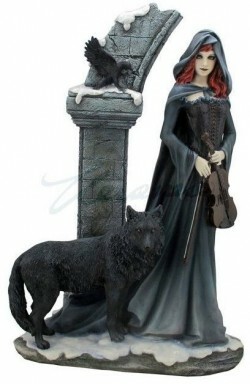 Cloaked female violist with her companion black wolf and raven. Made from resin giving a smooth stony texture and a weighty feel.